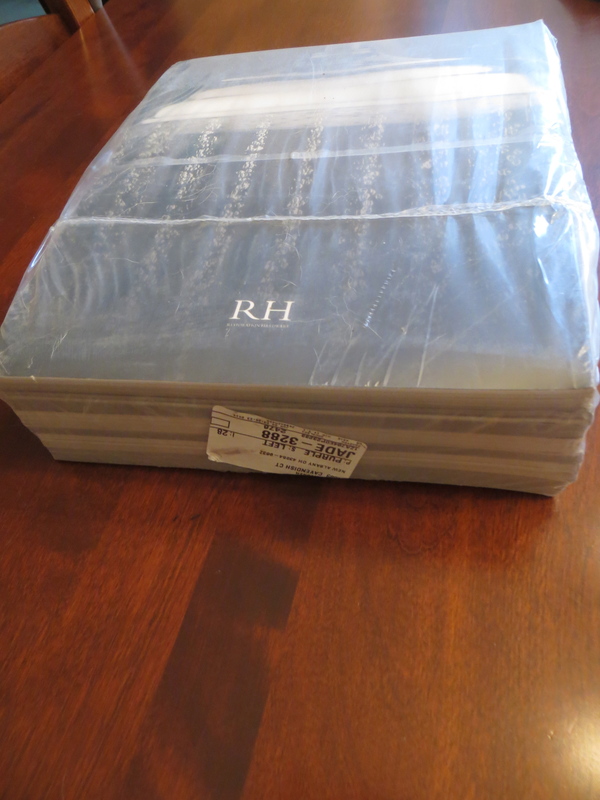 Today the Restoration Hardware catalogs hit our doorstep. Literally. And the sheer weight of the delivery threatened to reduce our brick entranceway to a pulverized powder. In total, this collection has got to weigh about as much as an adult bowling ball. I tried to weigh it on our bathroom scale, but I threw my back out trying to lug it up the stairs. The RH package was delivered by UPS Ground. Interestingly, the shipping label says “Attention UPS Driver: Shipper Release UPS Carbon Neutral Shipment.” A review of the UPS website indicates that UPS offers “carbon neutral shipments” for environmentally conscious companies. According to the page linked above, “UPS purchases certified carbon (CO2) offsets to give you a way to balance out the emissions produced by the transportation of your shipments.” Wouldn’t it be interesting to know how much Restoration Hardware paid to balance out the emissions produced by UPS trucks delivering this behemoth — not to mention how many trees were felled so that the latest “Leather” options could be made known to snug suburban households?